You risk your life for the public and you deserve your rightful benefits! Armed with extensive knowledge and refined litigation skills, our attorneys never wait until tomorrow to perform legal actions that can help you today. We strategize decisive, clear plans that bring you immediate relief and accomplish your long-term goals. We listen attentively to your needs, respond directly to your questions and always keep you updated about the status of your case. Our compassionate approach to your case helps ease the anxiety that often accompanies injuries and the legal process. Alan B. Snitzer appreciates the fortitude and strength required to ensure the public’s safety. As a former military policeman in the Army National Guard and an assistant editor of The Blue Line—the official newspaper of the Buffalo Police Department police union, as a young man—he had the opportunity to experience and observe both the satisfactions and stresses inherent in public safety officer positions. His early work instilled in him the basis for his lifetime mission. Armed with a strong sense of uncompromising duty, Alan founded the Law Offices of Alan B. Snitzer, A Professional Corporation to provide relief for injured public safety officers. 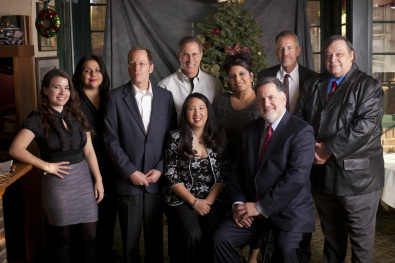 The Law Offices of Alan B. Snitzer, A Professional Corporation is located in Pasadena, CA and represents clients throughout Pasadena, Burbank, Glendale, the San Gabriel Valley, and the greater Los Angeles County metropolitan area. We have also handled significant cases in other parts of California, as well. Call the Law Offices of Alan B. Snitzer, A Professional Corporation at 626.449.4300 to discuss your case. NOTE: It is a felony in California to fraudulently seek, claim or collect worker’s compensation benefits, punishable by imprisonment in the State Prison, a fine, or both.